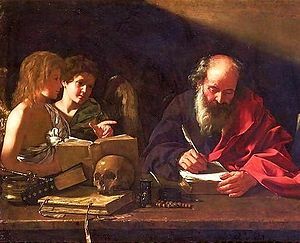 St. Jerome, who lived as a hermit near Bethlehem, depictit in his study bein veesitit bi twa angels (Cavarozzi, early 17t century). A hermit (adjectival form: eremitic or hermitic) is a bodie that lives in seclusion frae society. This page wis last eeditit on 5 Januar 2016, at 21:20.